We always advise our buyers that choosing a mortgage broker is a task not to be taken lightly. Similar to hiring the right real estate agent, it is just as important to hire the right mortgage broker when buying a home. Talking to a good mortgage broker at a reputable lender is actually one of the first steps you should take when considering buying a home. As explained in our Home Buying Process, this should be done prior to seeing any homes. Even if you have poor credit, consulting with a mortgage broker is a good way to navigate your way to good credit because of the credit counseling they are able to provide. After all, you need to know what you can afford and what your monthly payment will be before you start looking for a home. 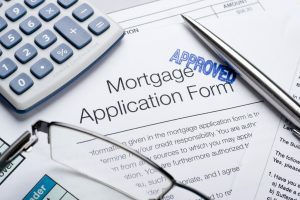 Many buyers think once they receive a pre-approval, the bank is committed to giving you the loan; unfortunately, this is not the case and it is exactly why they call it a PRE-Approval. Additionally, there are many mortgage brokers out there who fail to take the proper prequalification steps and give out Pre-Approvals without much knowledge of a buyer’s true financial position. We have seen many cases where buyers really thought they were qualified for a certain amount and in the end, they were unable to obtain financing and lost the home they wanted. Be careful not to work with a mortgage broker who simply tells you everything you want to hear without asking for information to substantiate the decision. In addition, make sure to work with a mortgage broker that you can meet with face to face for an in-depth consultation, not just a national company where you cannot truly establish a relationship. A good mortgage broker follows some simple yet import guidelines in the approval process. They will discuss with you which product best fits your needs and help you determine if you are ready to move forward with financing. They begin by verifying your credit. Along with credit, they will also ask for proof of income by requesting tax returns, pay stubs, bank statements, W-2s and potentially more. These are key components that underwriters use to thoroughly approve a borrower. If it is not done at the preapproval stage, it can lead to a very disappointing downturn further into the process. Another important part of the preapproval process is determining your down payment. Your down payment helps determine what kind of program would be best for you. There are many mortgage programs out there. Some programs allow you to put as little as 3% down and some require as much as 20% down. An FHA mortgage can be a great option for a first time home buyer who may have a slightly lower credit score. Along with down payment, a good mortgage broker will also outline what your expected monthly payments should be and help determine approximately what your closing costs will be. These are all very important components of selecting which program is the best financial fit for you. When you hire a real estate agent, you want to hire one who truly cares about getting you into the right home. It is no different with a mortgage broker; you want them to get you into the right loan. For additional information on the various mortgage programs available please visit the mortgage section of our website.